Bringing another member into the family is a big step. But what if you already have a ‘child’ in the home? How will your dog react and what can you do to ease the transition phase? Our in-house experts had a look at what people who’ve gone through this scenario have to say about dogs and babies in the same household. Experts seem to agree that the presence of a pet is good for a child’s development. The psychological benefits of having dogs have been well documented. 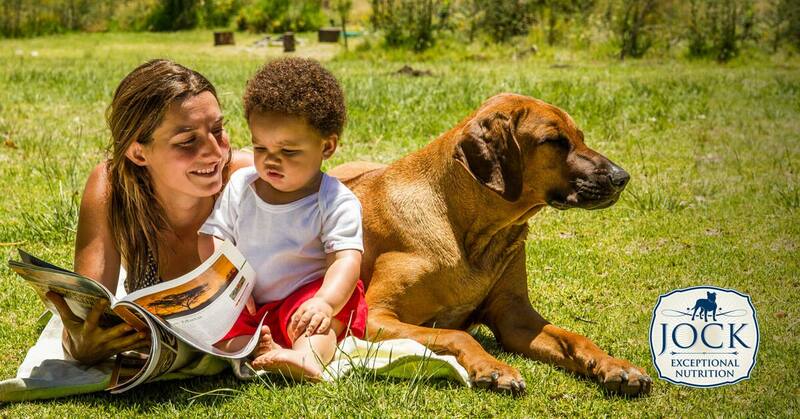 For young children, dogs can be used to teach them about caring for other beings and about taking responsibility. It also helps anxious children to feel a deeper sense of belonging and encourages outdoor family activity and bonding as well as interactions with other people. 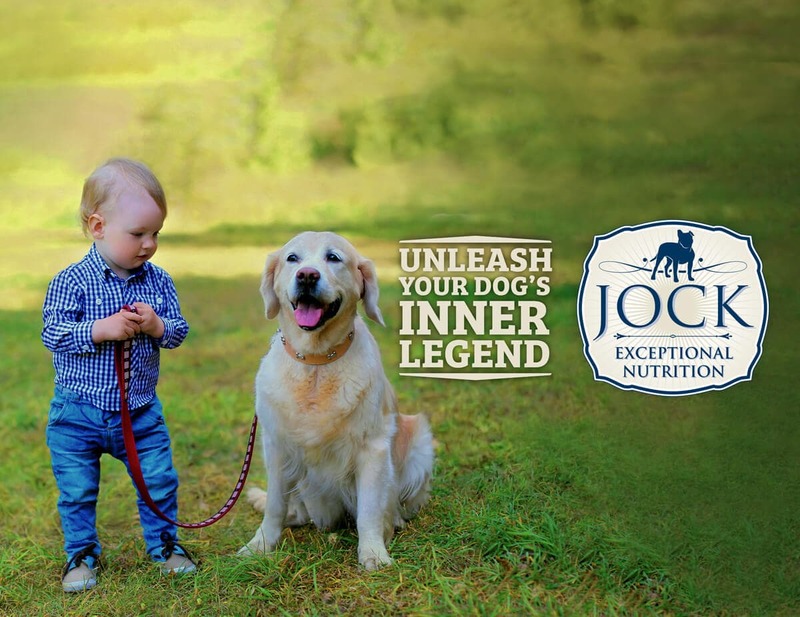 Children who grow up with dogs in the first year of their life, also have a much-reduced chance of developing allergies to pets and other allergy-related illnesses. Unfortunately, tragic incidences of dog-related injuries to babies and young children do occur. And like driving a car, there is always a risk involved if you have dogs and babies in the same home (although the odds of a dog attack are, of course, far, far less than having a car accident). The important thing to remember is that a dog is not a rational being. It doesn’t think like humans and it can’t distinguish between right and wrong. They react according to their instincts and often in accordance to what they’re used to. For this reason, a baby or young child should never ever be left alone with a dog, no matter how calm and friendly the dog. Often, unexpected incidents like sharp sounds can irritate dogs and trigger aggressive behaviour. Unknown illness or pain in older dogs can also cause uncharacteristic behaviour which can put a defenceless child at risk. Often, what starts out as playful interaction can also escalate into something more serious if the dog’s behaviour isn’t monitored closely. That being said, many people have successfully raised children alongside dogs and there are several ways to ensure happy interaction between your baby and your fur baby. Make your dog used to the idea of a baby. Use baby smells and sounds to prepare him or her for the coming of the baby. You can even start with a baby-like doll to make your dog used to the idea of ‘something’ else. When your baby comes home, bring home a blanket a day or two earlier to introduce the smell of the baby. Sadly, some dogs end up in shelters after the coming of a baby, because the new parents just can’t handle the ‘badly behaved’ dog. Often, a dog’s behavioural problems start when the new baby causes havoc to your dog’s routine. Dogs are creatures of habit and do best when they know where they stand. Make sure you are realistic about how your baby will affect the time and attention you give to your dog. A dog can’t simply be ignored for the first couple of months of a baby’s life. Introduce changes gradually and find ways to make sure your dog gets proper exercise and attention so that he does not get frustrated. Needless to say, make sure your dog’s deworming and other health checks are up to date. A baby is at more risk than an adult to catch diseases or parasites. Obedience training is critical. Your dog must be able to obey basic commands like ‘leave’ and ‘no’ and respect your authority before you bring a baby into the house. A dog is a pack animal and needs to know its position in the hierarchy. Also, make sure that a dog has clear boundaries. Will it be allowed on your bed or furniture? Whatever the rules, be consistent and firm even when you are tired. Follow these guidelines and chances are good your child will enjoy many happy years growing up with his or her best friend. And remember, if you’re concerned about your dog’s behaviour, always ask for advice from your vet or seek help from an animal behaviourist.